Apolline Training takes great care to protect the personal data we hold for our Clients’ and Students’ in line with the requirements of the General Data Protection Regulation (GDPR). 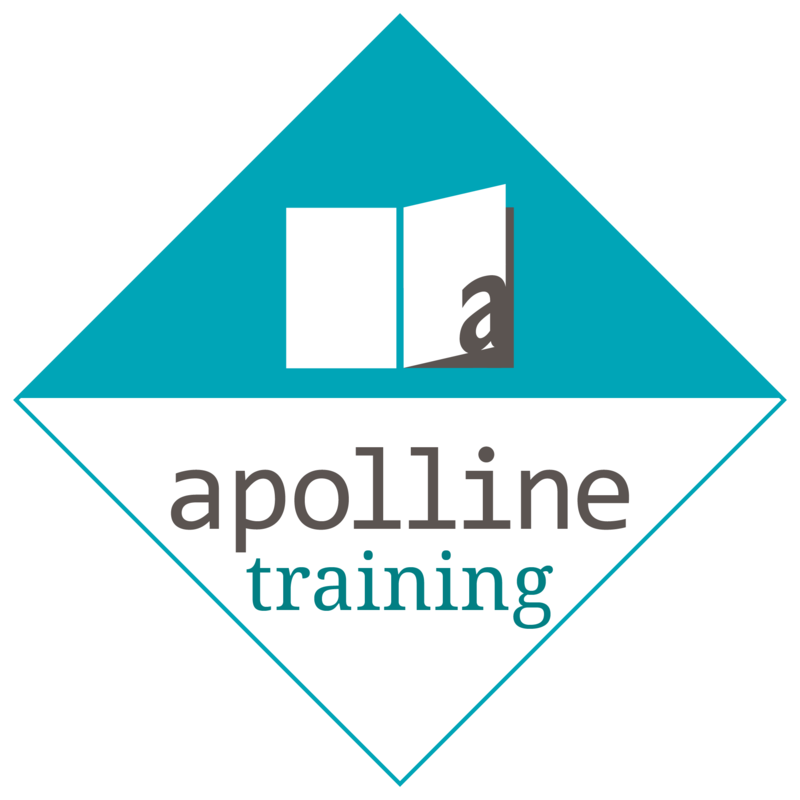 Apolline Training, is a company registered at Companies House registration number 07245126 whose registered address is 6 Burnmoor Meadow, Finchampstead, Wokingham, Berkshire RG40 3TX. Details of any complaints received and how these have been resolved. Update our Clients and Students on any regulatory, legal or statutory requirements. Some of the above grounds for processing will overlap and there may be several grounds which justify our use of a Clients’ or Students’ personal information. The information we collect, and store will not be disclosed to anyone who does not need to see it. Our employees and those working with us on a self-employed basis or contractual basis are bound by a duty of confidentiality and will never disclose personal information about a Client or Student to anyone who does not need to see it. We may send Clients and Students personal information outside the EU. If we do that we will ensure that we have written assurances that the data will be subject to the same level of security as required within the EU. The GDPR requires us to state the legal basis upon which we process all personal data for our Clients and Students and it requires us to inform them of the legal basis on which we process their personal data. Contract – We provide services and support in line with the contract we hold with our Clients and Students. The contract we hold with them requires us to process their personal data. Legitimate interest – We have a legitimate interest in processing our Clients’ and Students’ personal data to enable us to provide training services and support to them and to administer the contract we hold with them. We only keep our Clients’ and Students’ personal data for as long as we need to in order to fulfil the contract we hold with them or for our legitimate interests or for as long as they give us permission to hold and process it. Under the GDPR, all individuals who have personal data held about them have the following personal privacy rights in relation to the information held about them. Take their data elsewhere (right to data portability). It is our Clients’ or Students’ responsibility to ensure that any changes to their personal information are notified immediately. All individuals who have personal data held about them have a right to object to direct marketing and a right to restrict the processing of their information, including automated decision-making. Automated decision making involves all decisions made automatically i.e. without human intervention. We will always ask our Clients and Students to opt-in to any processes involving automated decision making. We may send newsletters for direct marketing purposes when we have consent. When new Clients and Students register with us they are asked to opt-in to receive update information and newsletters. Existing Clients and Students have been asked to refresh their consent to continue hearing from us. Clients and Students who have not given their specific opt-in consent will not be sent anything they have not consented to receive. Changes to regulatory, legal or statutory requirements. We do not need consent to send this information because it forms part of our contractual obligations and the legal basis on which we do this is ‘contract’. Our Clients and Students are always asked for their opt-in consent to receive direct marketing information such as information about new or planned services, support services or training courses. We take the security of all the personal data we process for our Clients and Students very seriously and appropriate security measures are in place to protect it against unauthorised access, loss or destruction. Access to personal information about individual Clients and Students is strictly limited to those people who need to access it. Any contractor or provider who has a legitimate reason for having access to personal data is bound by a duty of confidentiality. Our Clients’ and Students’ have a right to complain about how we process their personal data. All complaints concerning processing of personal data should be made to Samantha Spriggs, Operations Director at samantha.spriggs@apolline.uk.com or to Patricia Langley, Chief Executive at pat.langley@apolline.uk.com All complaints will be dealt with promptly and as described in our Data Protection Policy. This Policy was reviewed and implemented on: 23.5.2018 and will be reviewed annually. It is due for review on: 23.5.2019 or prior to this date in accordance with new guidance or legislative changes. A PDF of our Privacy Notice is also available on request from info@apollinetraining.co.uk.